Blue Planet Design is a small residential building design practice committed to achieving client satisfaction through creative, innovative, practical and cost effective design solutions. We are specialists in the design of all types of residential projects whether it be a new home design or the design of an extension to your existing home. We have extensive experience with all kinds of building sites ranging from house designs on small lots to steeply sloping sites and everything in between. We not only design your new home and extension, but also prepare design drawings and house plans for the purposes of tendering, building approval and construction. Blue planet Design offers a complete service from initial concept right through to obtaining building approval and if you don't know any builders we can help with that as well. Latemore Design is an award winning Building Design practice in Brisbane. Its chief designer and principal, Peter Latemore, has been a building designer for over 30 years after studying architecture in the 70’s. The practice specializes in high quality design and documentation of residential extensions, new houses, multi-residential, and small commercial and industrial buildings. Peter is a well-known expert with Queenslanders, our world renowned vernacular buildings. Latemore Design stays at the fore front of the industry, with considerable involvement such as through associations like BDAQ and HIA. In addition, the practice is an acknowledge expert with high end CAD software such as Revit, the world industry leader in BIM. The firm consists of a chief designer, two building designers and office manager. Latemore Design collaborates with many other industry consultants and builders to bring owner/occupiers the best buildings for their needs. Excelling in design outcomes for our clients for over 25 Years, Blueprint designs are well equipped to provide you with design solutions that meet your expectations. Experienced in the genre's of Small lot home design, Bespoke design, Country / Acreage Homes, Townhouse Developments. Blueprint Designs are proud members of the Building Designers Association of Queensland. We don’t strive to be the biggest or showiest design studio in the world - We strive to create outstanding house designs to perfectly suit our discerning clients. Over our 16 years of designing Brisbane homes, we have built a reputation in client service and design excellence. We understand that every project has a budget that must be respected. Our team is dedicated and talented and enjoy including our clients in the design process from start to finish. 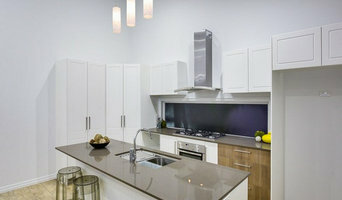 We are fanatical about beautiful living spaces, functional kitchens and amazing decks. Individual commitment to a group effort – that’s what makes a team work, a company work, a society work, a civilization work. We’re a multi-skilled, highly experienced team of designers motivated by producing stellar outcomes for our clients. R&I is a Brisbane based firm which specialises in building & interior design. We offer design solutions that aims to exceed & outperform expectations. Rocky & Ivan consists of two talented designers with a total of 15 years of experience within the residential & commercial industry. Our team is passionate on creating stunning design which exceeds client expectations. We are dedicated to bring every clients dream home to life. R&I is a Brisbane based design firm which specialises in building & interior design. We offer design solutions that aims to exceed & outperform. 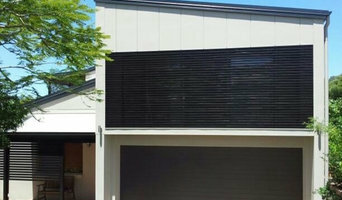 R&I is a Brisbane based firm which specialises in building & interior design. We offer design solutions that aims to exceed & outperform expectations. Inspired by a modern technologies while paying homage to traditional elements, we strives to ensure that each of our designs are unique and timeless. Get in touch to learn more about the R&I experience and how we can help to achieve your vision. Daniel Blake Designs specialises in all aspects of residential design including new homes, raise and extensions, carports and back decks. We aim to take the same care across all projects, big and small, and ensure that the design suits your needs, style, and budget. As a client of Daniel Blake Designs, you will watch the notes and sketches taken from the first meeting transform into your ideal design. Using innovative ideas and a wealth of knowledge from working for both engineering and building companies, Daniel Blake Designs drives to make your dream home, deck, or carport a reality. Working closely with builders, engineers, and certifiers, our team prides itself on the streamline completion of a project by ensuring that the process for our clients is as easy as possible. Passionate about residential design, Bleuscape, our Brisbane-based practice, knows how much considered space matters to people. We love the journey of collaboration, always mindful that happiness and security come from our innate ability to bring outstanding resolution to often complex scenarios. You want it done right. You want to move in as soon as possible. We hear you! Over the decade of experience we have had, we've developed relationships with craftspeople we trust. The team on your project must have the same vision. Our job is to communicate that and ensure quality. Imagine moving in to your dream house! What a sense of accomplishment and delight. Your life is never the same. From now on you have every day to enjoy the legacy you have created. This dream is one contact away. Take your time looking over our portfolio of work, comment on it (and be a part of another journey), and contact us to start your own. 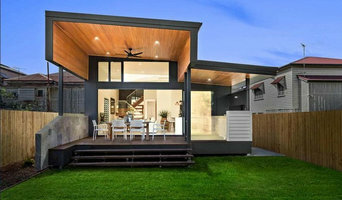 As with all other professional services for home design and renovation, the best way to choose a building designer in Wavell Heights, Queensland is to asses their past work against the style and requirements you have for your individual project. The role of building designers has evolved from traditional drafting services to building design that takes into account your lifestyle, budget and site condition. 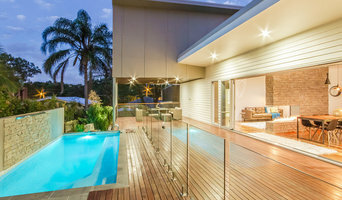 Building designers in Wavell Heights, Queensland also often work with contractors to ensure that structural elements are in line with desired aesthetics. Once you have a shortlist of building designers in Wavell Heights, Queensland, engage in face-to-face talks about your brief, to ensure you’re on the same page. To get the most value for your money, you want someone who understands you, agrees with your ideas – in relation to sustainable design, space and function – and has the qualifications and enthusiasm to translate ideas to paper and into a reality. Look through Photos of house designs to find projects similar to your brief. Then, click through to the professional responsible for your favourite picks, browse their latest projects and read reviews. Once you’ve created a shortlist of Wavell Heights, Queensland building designers, strike up a conversation with each one and you’ll be one step closer to the house of your dreams!